Hi, My name is Donna Stiles and I live with my family in a little known and beautiful part of rural Tuscany in Italy called la Maremma. You are reading this on a page in my travel guide web site all about the area. But this page isn't about me. It is about a dream. The economy in Maremma desperately needs tourism. There are few jobs, and many people are having a very difficult time making ends meet. The youngsters here who have just left school and started work are planning to move away. But not to another part of Tuscany, or Italy. But abroad. In order to find work, support themselves financially, and have the chance of forging a career. Bringing tourists to Maremma would change that. But therein lies a dilemma. Because more visitors could lead to disastrous developments that would destroy forever the natural beauty, environments and wildlife habitats that make this land what it is. But I believe that tourism can thrive and flourish in Maremma without having to destroy it. And that I can help to achieve this. The task isn't a mission impossible. There is already an excited audience of people planning on fulfilling their dreams of visiting Italy and Tuscany. Reading this now you might even be one of them! Maremma is breathtakingly beautiful. They just don't know about it. 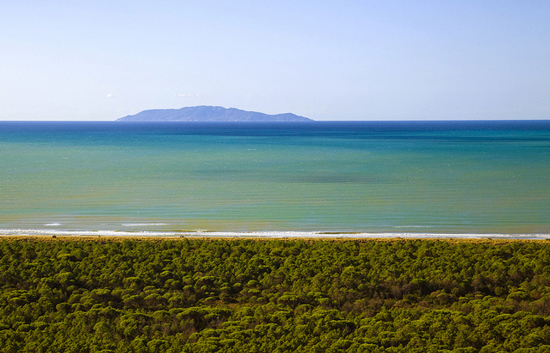 And those with a passion for Italy, exploring, history and the natural world will come when they find Maremma. And leave with wonderful everlasting memories. Then the word of mouth snowball will begin... and Maremma will shine on the Tuscany tourist map. Fabio Sartori, thank you for your photo. The second part is much harder requiring leaders and local authorities to take a stand when needed. But it is doable. My efforts to date in writing this web site won't make the difference I want to see to my deadline. For my young daughter is growing up fast and I want her and her class mates to be able to choose to live and work here if they want to. Surrounded by the same unspoilt countryside that they have grown up in. So I have decided to stop being concerned that I may be considered arrogant in voicing my dream, to put away the self doubts that creep in sometimes that I can make a HUGE difference, to not take the criticisms that will come my way personally, and to go for it! Big time. Asking you to help. If you had never heard of Maremma until you arrived here and like what you have seen and read, please tell your friends and family by sharing and talking about this page or any other in this web site. Or, any other web site or Blog about Maremma you have come across that you liked just as much or even better: I'm not precious! Nothing is more powerful than word of mouth in this world. I'll be back with an update.